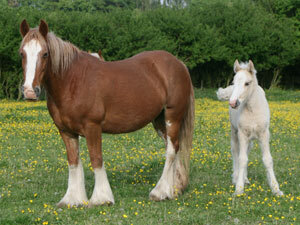 Below you will find the current Fillies that Gypsy Horses have for sale. If you do not see a suitable horse, please do not hesitate to contact us and we will endeavor to source your requirements. Golden palomino filly out of Coates Calamity Jane and by Coates White Knight who is by Coates Tickled Pink! 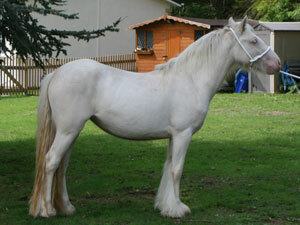 Sire shown in fourth pic. I will update her pictures shortly and she has a beautiful palomino pearl tobiano colt at foot who she can be sold with (if he is still available of course). Her bloodlines are second to none and the quality she has put into her foal only made me value her more. He is certainly a stallion prospect. Candy's siblings are all over the world including USA and Australia! 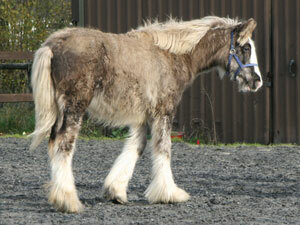 Candy is a super little mare who will be an asset to any serious breeding programme. Obviously being a cremello she will ALWAYS pass on her cream gene. Both Candy's parents have the sweetest and calmest temperaments so it is no wonder she does too. Coates Valencia is a solid cremello 2016 filly out of Coates Mystical Orlaith who is by Coates Marley (Beauty x Coates FORTUNE) and out of the famous MYSTIC mare! 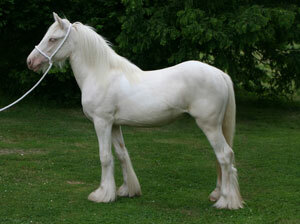 Valencia's Sire is none other than the famous GUIDO who is by Frillenis Alli! She is literally a combination of some outstanding studs. Expected to mature to a chunky tank approx 14.1hh. Again like Cadence this is a very heavy filly but we have had a very very hot and dry Summer and these pictures were taken at the end of it. 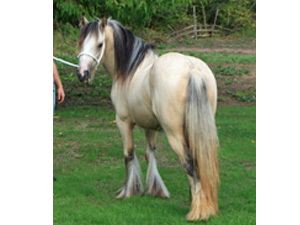 Beautiful HEAVY buttermilk buckskin 2 year old filly to make 14hh. Usually has much more feather but end of a very very hot and dry Summer. TALL black silver dapple filly to make 15hh - out of Coates Olivia x Coates Twilight.